Michael Palin will return to television in a new BBC2 drama that tells the story of how British soldiers in the First World War trenches produced and published their own satirical newspaper. The Wipers Times - named after the battlefield pronunciation of Ypres - has been written by Private Eye editor Ian Hislop and scriptwriter Nick Newman. 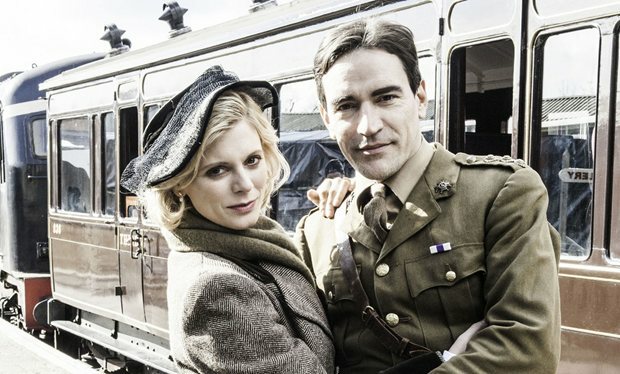 Starring alongside Sheffield-born Palin will be Ben Chaplin, Julian Rhind-Tutt and Emilia Fox. BBC2 controller Janice Hadlow said: "Just like the original Wipers Times, this new history drama will be filled with jokes, spoofs and amazing examples of courage behind the laughs. I am delighted to be bringing such a brilliant drama and cast to BBC2." Palin's last TV drama role was in Alan Bleasdale's GBH in 1991. Production on the 90-minute film is by Trademark Films, who made My Week With Marilyn and co-produced First World War drama Parade’s End. Andy de Emmony (The Bletchley Circle) will direct and production will be led by David Parfitt (Parade's End, Shakespeare in Love). The feature has been funded by the BBC, Northern Ireland Screen Fund, Goldcrest Films and Content Media. Chaplin takes the lead role of Captain Fred Roberts, who discovered a printing press in the ruins of Ypres in Belgium in 1916, using it to publish a satirical magazine called The Wipers Times. Proving popular with the troops despite the constant threat of enemy fire, Roberts went on to win the Military Cross for gallantry.